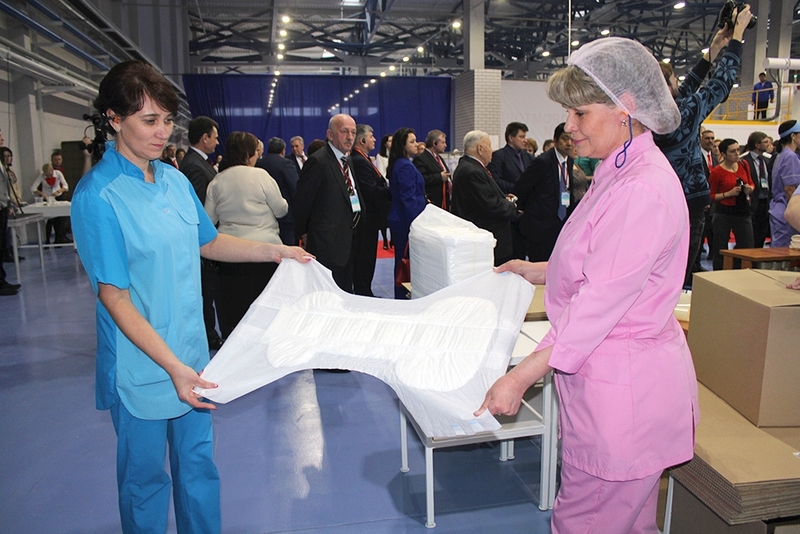 An official ceremony dedicated to launch of MEED adult diapers’ production was held at Gigiena-Servis OOO production facility in Kondrovo, Kaluga Region, on February 12, 2016. 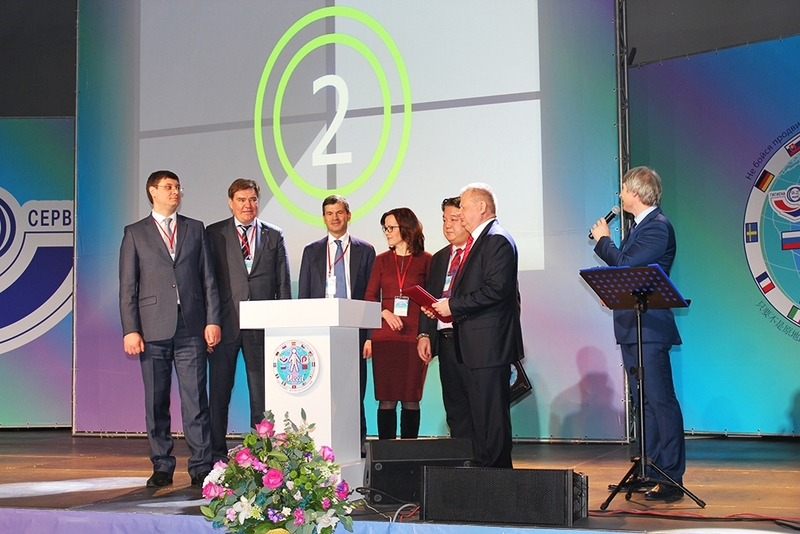 The event was attended by Alexander Avdeev, Deputy Governor of Kaluga Region, Alexander Savin, Chief Federal Inspector for Kaluga Region, Alexander Bushin, Director General, Gigiena-Servis OOO. 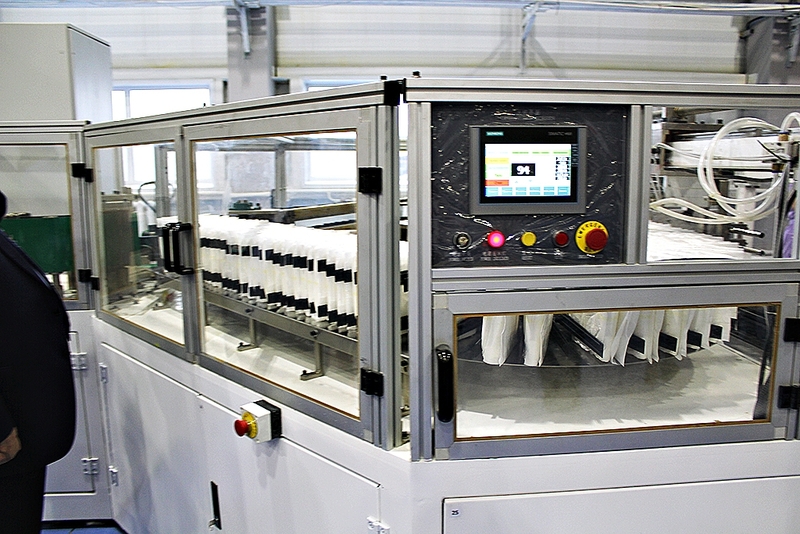 Gigiena-Servis OOO is a leading Russian manufacturer of sanitary and hygienic products. 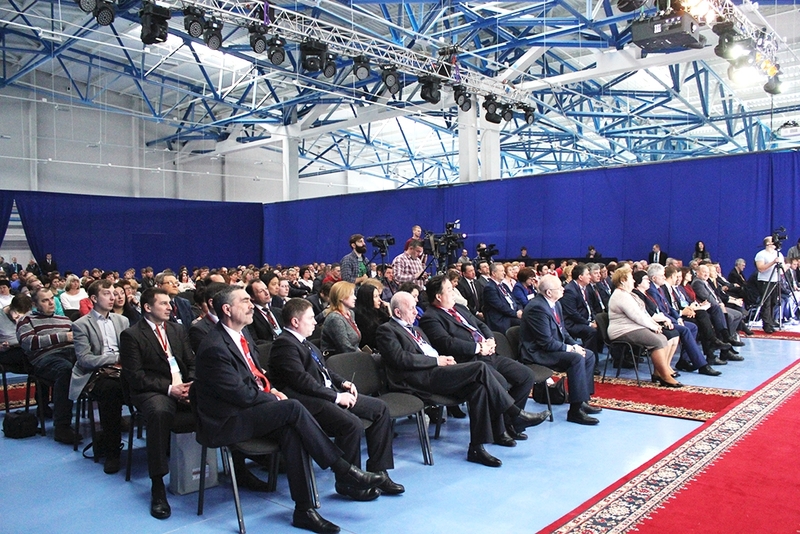 These are the 19th and the 20th production lines commissioned by Gigiena-Servis OOO since the beginning of its operations in the Russian market. The maximum production capacity is 180 million pieces per annum. Environmentally friendly materials absorbing moisture and neutralizing smell are used in the course of production. All consumer properties and specifications are in full compliance with GOST requirements. The products will be used in medical institutions, at home and in emergencies. - It is the largest project of its kind in Russia. It means new jobs, taxes, import substitution. But, first of all, this is am project of great social importance. It was our weighted decision to launch such a project. We fully understand the degree of responsibility. Our objective is to manufacture products of the highest quality, which will help millions of people in Russia live full life and play an active role in the life of society. 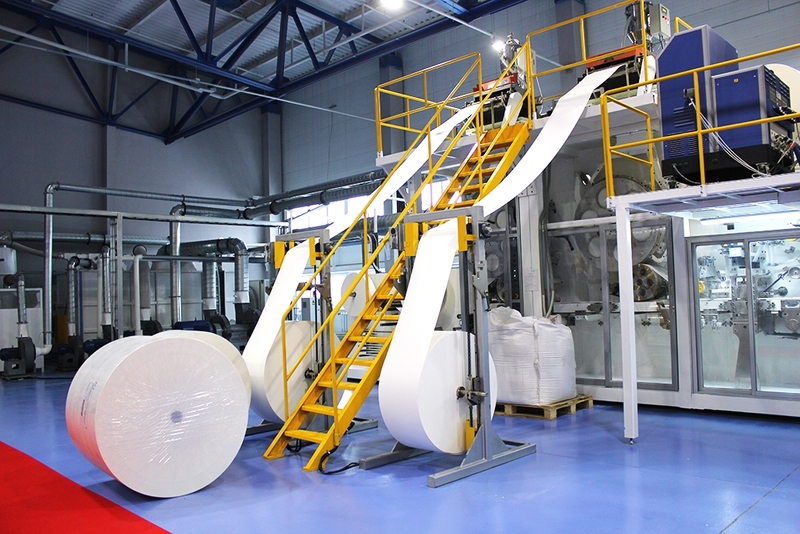 The investment project providing for production of MEED adult diapers, implemented by Gigiena-Servis OOO in cooperation with Industry Development Foundation, makes Gigiena-Servis OOO a leader in the Russian market in terms of import substitution. - This is the first project in Russia, which was financed by Industry Development Foundation. Such a scheme is envisaged by the law on industrial policy adopted in December 2014. Gigiena-Servis OOO received financing from the foundation in the second half of 2015, and the production line is being commissioned in February 2016. I would like to extend my appreciation to all those who were engaged in the project, to all those who worked thoroughly at all project stages – from negotiations to the production line commissioning.